 Envirologics, Inc., d/b/a Blast it Clean (“BIC”) is pleased to give you access to its web site (the “Site”), free of charge. Your use of the Site, and all information, products and services on this Site (collectively, the “Services”) are subject to the binding legal terms set forth below (“Terms”). You understand we may update these Terms from time to time without giving you any notice. By using this website, you agree to each of the terms set forth below. If you disagree with any part of these terms and conditions, do not use this website. Except for allowing you to use the Site for your personal use as set forth in the paragraph above, when you use the Site you are not receiving a license or any other rights from us, including intellectual property or other proprietary rights of BiC. You understand that you have no rights to the services or any other BiC property except as indicated in this Agreement. All product trademarks and copyrights (including but not limited to BiC, etc.) remain the property of their respective owners. BiC strives to create a safe place for children on the Internet and over the airwaves. Parental control protections (such as computer hardware, software or filtering services) are commercially available that may assist parents in limiting access to content that may be harmful to minors. You understand that you are personally responsible for your behavior while on the Site, and agree to indemnify and hold BiC and its affiliates and their officers, directors, employees and agents harmless from and against any loss, damage, liability, cost or expense of any kind (including attorneys’ fees) that we may incur in connection with a third party claim or otherwise, in relation to your use of or access to the Site, or your violation of either these Terms or the rights of any third party. To the maximum extent permitted by law, BiC disclaims all representation, warranties and conditions of any kind, be they express, implied, statutory or otherwise, including but not limited to the warranties of merchantability and fitness for a particular purpose, title and non-infringement of proprietary rights, as to the services and all information, products and other content, including third-party information, products and content, included in or accessible from the Site. To the maximum extent permitted by applicable law, in no event with BiC or its affiliates be liable to you or any third party making claims through you, for any damages whatsoever, including but not limited to any direct, indirect, special, consequential, punitive or incidental damages, or damages for loss of use, profits, data or other intangibles, or the cost of procurement of substitute goods or services, unauthorized access to and tampering with your personal information or transmissions, arising out of or related to the use, inability to use, unauthorized use, performance or non-performance of the site or the services, even if BiC has been advised previously of the possibility of such damages and whether such damages arise in contract, negligence, tort, under statute, in equity, at law, or otherwise. In order to ensure that you have the latest information, product availability, and dealer listings, BiC will update our website occasionally. However, there may be other delays and service interruptions from time to time. We apologize for any inconvenience this may cause you. Please check back, as we intend to have any website issues resolved very quickly. All content on the Site is owned by BiC and/or its licensees and protected by applicable law, with all rights reserved. BiC will terminate your access to, or use of, the Site and/or the services, without notice to you, if you infringe or misappropriate the intellectual property rights, including copyrights, of others.